TYRONE, Mo. - Police have identified Joseph Jesse Aldridge, 36, as the man they believe shot and killed seven people then turned the gun on himself in rural Tyrone, Mo., last night. According to the Missouri Highway Patrol, the four victims who have been identified were cousins of Joseph Aldridge, and all lived within three miles of Tyrone: Garold Dee Aldridge, 52; Julie Ann Aldridge, 47; Harold Wayne Aldridge, 50; and Janell Arlisa Aldridge, 48. Three other victims have not yet been identified. One female victim who was injured is in the hospital. An elderly woman who police found at one investigation scene was identified as 74-year-old Alice L. Aldridge, the mother of the alleged gunman. She is believed to have died of natural causes. At a press conference on Friday afternoon, Texas County, Mo. sheriff James Sigman would not confirm reports that Joseph Aldridge found his mother dead and then went on the rampage. He said the shooter had a "minor criminal history" and did not leave a suicide note. 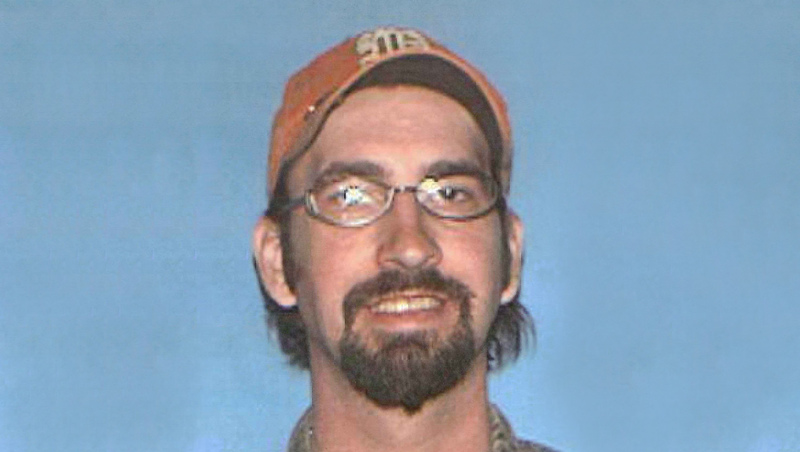 Sigman said Joseph Aldridge was found dead inside his GMC pickup truck, which was parked in the middle of a street. Sigman called Tyrone a "small community" of about 50 people where "everybody knows everybody." He said that none of the homes where the victims were found appeared to have been broken into. "Start locking your doors," said Sigman when asked what he wanted to tell the community. "The world's changing. You've got to be safe." Police in Tyrone, Mo., were first alerted to a problem when a girl called 911 from a neighbor's house Thursday night, saying that she had fled her own home after hearing gunshots. The neighbor told The Associated Press that the teenage girl was barefoot and wearing only in a nightgown when she came running across a snow-covered field full of thickets that left her legs cut up. "She was crying so hard, but I finally got out of her 'My mom and dad have been shot,'" the neighbor said. When police arrives at the girl's home, they found two dead bodies. Over the next few hours, authorities found five more dead victims and one wounded victim at three additional residences in Tyrone. Sheriff Sigman told reporters that there were three separate scenes with two bodies found at each, and three scenes where they found one body, including the suspect.